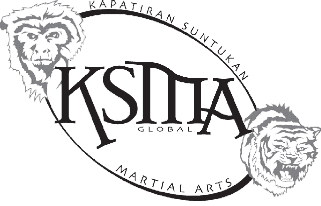 Personal Survival Tactics (PST) is Kapatiran Suntukan Martial Arts's short-term Personal Protection module. 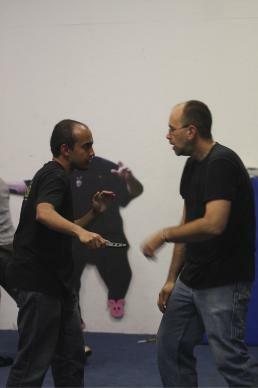 All of the concepts and techniques taught in PST are contained in the normal KSMA curriculum, but are presented in a short term, dynamic manner to maximize the learning experience for the student seeking a pared down self-defense method. Training options include an ongoing class setting at a KSMA affiliated school or a seminar format at your location. PST encompasses the full spectrum of violent encounters from the mental, physical, and legal aspects. We cover the mental aspects of awareness, verbal deflection and de-fusion, as well as common forms of criminal attack, and the ways to counter them. PST's physical portion teaches effective body mechanics that can easily be learned and applied across a wide spectrum of encounters. Lastly, we cover the legal aspects of self defense, including the proper use of force, levels of response to assault, and the aftermath of an encounter. These courses can also be customized to meet the the needs of your group. This curriculum is one of the options available to Study Group Leaders.